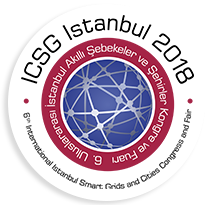 Join the ICSG Istanbul 2018 - DERlab: European Distributed Energy Resources Laboratories (DERlab) e.V. The importance of using existing systems and resources with efficiency and clean environment awareness is vital. In this context, the 6th International Smart Grids and Cities Congress and Fair (ICSG Istanbul 2018) will gather over 10 thousand energy stakeholders and nearly 350 global corporations as exhibitors on 25-26 April 2018 in Istanbul (TR). This congress will provide an international platform in order to throw the participants together with all the shareholders, find answers to many questions, teach the latest innovations about smart grids, show sample applications and define investment strategies.